Will he or won’t he add the bill to the House schedule in time? Despite the Senate’s unanimous bipartisan support and the House’s unanimous passage of complimentary legislation earlier this year, the FOIA Improvement Act has yet to be added to the House’s legislative calendar. If it is not added by this afternoon, this important open government legislation will die. Reports indicate that, in a ploy that would be antithetical to open government principles and the “People’s House” responsibility to the American public if true, banking lobbyists are putting pressure on House leadership to scrap a vote on the bill over “bogus” concerns over FOIA’s Exemption 8 (concerns which the Senate Judiciary’s report on the bill already proves are unfounded). As New York Times public editor Margaret Sullivan has pointed out, the FOIA bill has received shockingly little attention from the mainstream media, including from the Times itself. The inattention is especially confusing considering how prominent a role FOIA has played in some of this year’s biggest stories. This month alone FOIA requests helped journalists prove energy firms were colluding with Republican Attorney Generals to roll back the White House’s regulatory agenda, and provided, in the ongoing debate about the militarization of local police forces, a detailed breakdown of what excess military equipment the DOD gives police under its 1033 Program. FOIA is also a lynchpin in several of the Times’ ongoing high-profile lawsuits, including its attempt to wrestle important torture-related documents from the Department of Justice. 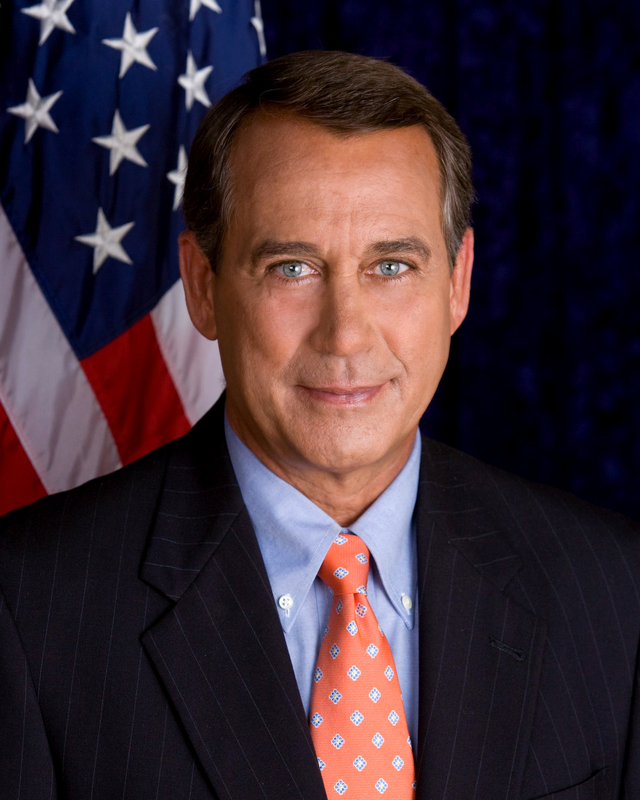 Given the importance of this bill and its lack of necessary coverage, please take a minute to contact Speaker of the House John Boehner (R-OH) and Majority Whip Kevin McCarthy (R-CA) and remind them they are beholden to the public, not narrow-minded private interests, and to put the FOIA Improvement Act on this year’s legislative calendar today. In other open government news, thanks in large part to the efforts of Rep. Elijah Cummings (D-MD), the Presidential Records Act – which was nearly eviscerated in 2001 by President Bush – recently got some new teeth. The amendments establish a process for the publication of presidential records after the president leaves office, making it harder for former executives to block publication of their records for any more than 90 days by citing executive privilege; forbid executive branch officials from conducting government business over personal email, thereby evading the FOIA; and modernize records management by expanding and clarifying the definition of electronic records. 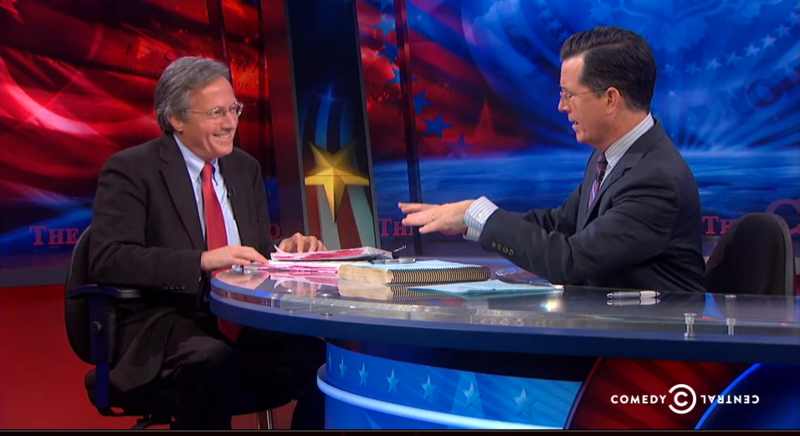 Archive Director Tom Blanton discussing the CIA torture report with Stephen Colbert. The National Security Archive’s contribution to reporting on the executive summary’s release notes the summary is important for its nearly 3,000 footnotes to specific CIA documents. The footnotes show a pattern of repeated factual inaccuracies by the CIA leadership in its communications with the Justice Department (to get legal cover for the program), with the White House (including inserting false information in the President’s Daily Brief and into one of President Bush’s major speeches), with the Congress (Appendix 3 starting on page 462 provides more than 30 pages of false statements in testimony by former CIA director Michael Hayden), and even in internal Agency deliberations. The long-term consequences of the declassification of the report’s summary remain to be seen. Despite Archive Director Tom Blanton’s comments in a recent Washington Post article reiterating that “secrecy enables bad policy choices,” the report itself recommends no further investigations or punitive measures, and statements by President Obama imply that criminal prosecutions for those responsible for the program remain unlikely. Meaning that instead of being punished, the former head of the CIA’s National Clandestine Service that oversaw the agency’s torture program and authorized the destruction of 92 video recordings of Abu Zubaydah being waterboarded 183 times in a black prison site back in 2005, Jose Rodriquez, will likely be free to pontificate further on how the Agency is being “thrown under the bus” and fault the report’s conclusions. Watch Blanton’s interview on the Colbert Report here. Interview begins around 10′ mark. 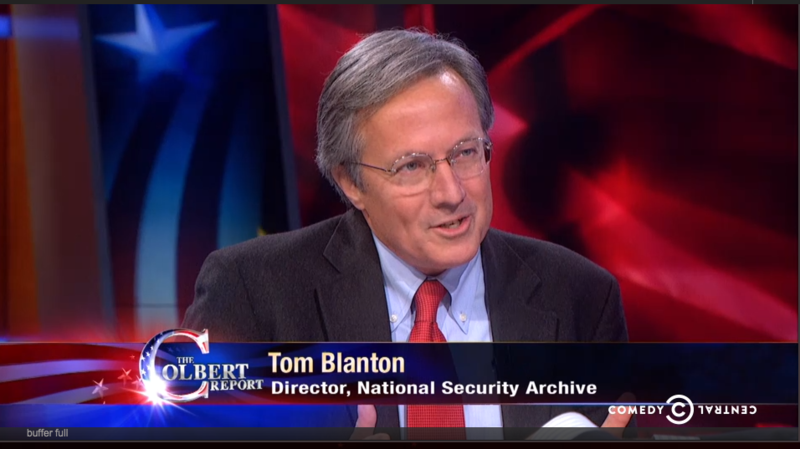 Nevertheless, Blanton praised the release of the Torture Report on the Kojo Nnamdi Show for its extensive footnotes that showed “how the CIA fooled itself,” and further on the Colbert Report for the report’s extensive reliance on, and documentation of, the agency’s own records – six million pages of records, to be precise – many of them emails that the Agency is currently petitioning to have the authority to routinely destroy. Adam Marshall from the Reporters Committee for Freedom of the Press had an excellent piece this week on federal agencies’ growing reliance on sending “are you still interested in your FOIA request?” letters as “a sneaky way to make the agency’s [backlog] numbers look better.” The Archive has been dismayed to see the rise in this tactic, wherein an agency will write a requester – for possibly the first time in years – concerning a FOIA request, informing the requester that if the agency doesn’t hear back from them in an arbitrary amount of time – say 30 days – the agency will summarily close the request. The Archive always encourages dialogue and the narrowing of FOIA requests when possible, but there is nothing in the FOIA that allows an agency to summarily close requests in this manner. We’ve contacted the FOIA Ombuds OGIS about this practice, and they’ve stated they will look into the matter. Congress has ordered the Pentagon to submit quarterly reports on leaks and additional reporting on “insider threats” as part of the pending National Defense Authorization Act for FY 2015. The Act does not, however, address problems of overclassification, failure to timely declassify information, or nonsensical security procedures, like banning intelligence officers from discussing and contextualizing leaked information that can be found on Google. 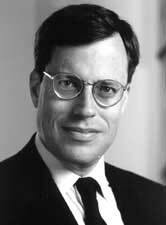 This week’s #tbt document pick is chosen with the release of the executive summary of the CIA torture report in mind – it is the Zelikow Memo, a 2006 Department of State cable from then- counselor to Secretary of State Condoleezza Rice, Philip Zelikow, opposing the Justice Department’s Office of Legal Counsel’s authorization for the CIA’s “enhanced interrogation techniques.” The White House tried to locate and destroy all copies of the Zelikow Memo, but in 2012, thanks to a FOIA request, DOS found one and delivered it to the Archive.